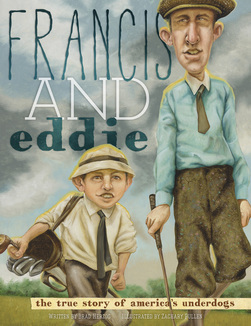 A celebration of golf’s most inspiring underdog story -- the tale of the 1913 U.S. Open, when 20-year-old Francis Ouimet and his 10-year-old caddie shocked the world. "What a wonderful story of friendship, loyalty, and the greatest game, golf. 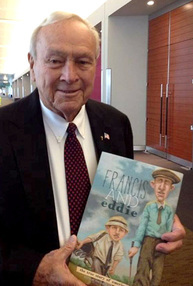 The achievement of Francis Ouimet and young Eddie Lowery -- underdogs victorious over veteran champions -- is a reminder to children that anything is possible. This book is an inspiration to all." - Curtis Strange, 1988 U.S. Open champion at The Country Club in Brookline, Mass. Brad Herzog is the author of more than 30 books for children and four titles for adults. These include three critically acclaimed travel memoirs about his journeys through small towns, which the American Book Review has described as "the new classics of American travel writing." Among his series of children’s books for Sleeping Bear Press are 15 sports titles (including P is for Putt), as well as S is for Save the Planet, which was a finalist in the 2009 National Best Books awards. Brad has been honored several times by the Council for Advancement and Support of Education, including a Grand Gold Medal for best magazine feature article of the year. He has been a guest on “The Today Show” and “Oprah” and has been profiled in publications ranging from People magazine to Reader’s Digest. He lives on California’s Monterey Peninsula with his wife and two sons. Please visit www.bradherzog.com.